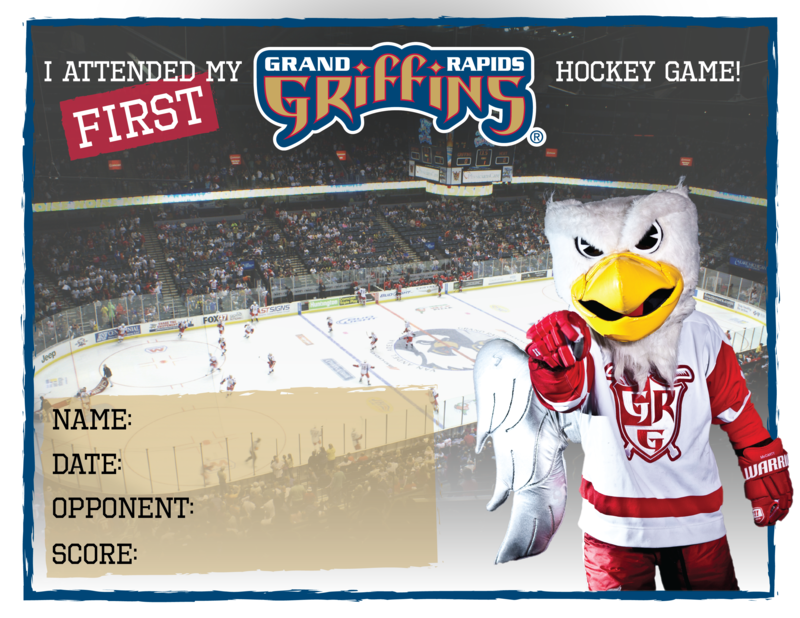 Your students are invited to join us for the Grand Rapids Griffins annual School Day Game on Wednesday, November 14. Every year, thousands of West Michigan students and educators head to Van Andel Arena for this unique and fun learning experience that features interactive exhibits and educational displays throughout the concourse and during the game. The educational exhibits open at 10:00 am, with the Griffins game immediately following at 11:00 am. The educational portion of the event will have a STEM focus, as well as a variety of health and wellness exhibits and displays. All students will receive an interactive workbook to learn about how hockey relates to everyday classroom subjects such as math, science, language arts, reading and social studies. The Griffins offer the ability to pre-purchase very affordable, discounted tickets throughout the entire arena for your school, classroom or organization. Healthy lunch options are also available for pre-purchase. Testimonials from previous school day game teachers! Our students absolutely loved coming out to the Griffins matinee game. For most of the game, they were up and out of their seats, wildly cheering for our beloved Griffins .They caught themselves multiple times on the jumbotron which just amped up their excitement. We had a number of compliments from the ushers saying they were so well behaved, yet one of the most enthusiastic groups they had seen. Looking forward already to next season. The staff and students from KEC Beltline High School have attended the Griffins matinee game for the past three years. Our experience has been exceptional, and our students and staff look forward to this outing each year. Joseph Yancho has been incredible to work with regarding the details of the event, and he has made the process of obtaining tickets effortless. His response to emails and voicemails is fast and timely, and he has answered all and any questions we have had as a group. The usage of a school bus for transportation to and from the event has been convenient and relatively organized considering how many school buses are dropping off and picking up groups from different districts. Finally, the pricing is more than fair. My second grade students absolutely loved attending the Griffins game. For some of them, it was the first time they had ever seen hockey. It created a common experience for them that we referred back to in the classroom for the rest of the school year.